Producing orthophotography is one of Aeroquest Mapcon's core competencies. Whether the project is several frames, or several thousand frames, we have the production processes in place to deliver high quality, accurate, colour balanced imagery. Our highly experienced staff, top level software & hardware, efficient workflow and attention to detail means that our clients receive the highest quality orthophotography available. Natural color orthophotography offers our clients 3-band (Red, Green, Blue) rectified imagery that has been color corrected, radiometrically balanced and seamlessly mosaciked. This type of product allows for viewing ground detail in natural color to assist in feature identification (vegetation, utilities, surface/terrain types, etc) and can be produced in a wide range of pixel sizes depending on the project requirements and source imagery (satellite, aircraft, UAV). 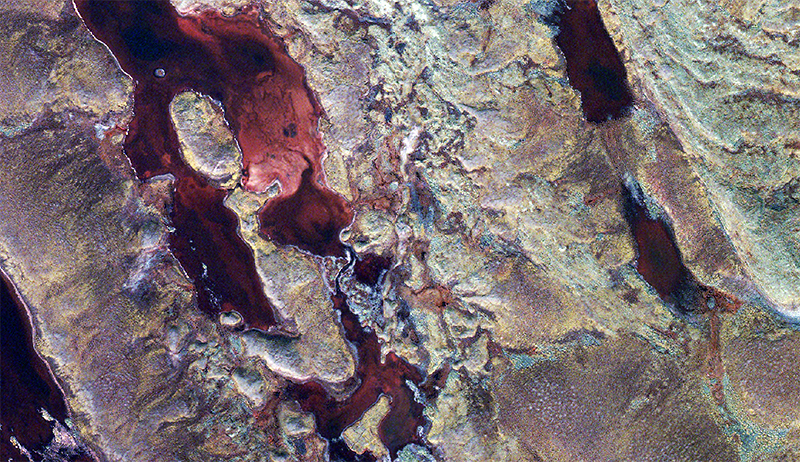 Near-infrared imagery can often be captured from aerial cameras and satellite sensors simultaneously with natural color imagery, and is delivered to the client as a 4-band image (R,G,B,NiR). Near-infrared imagery allows for different types of image classification applications such as storm water management, environmental studies, moisture analysis, impermeable surface analysis, planning and engineering design.